VIERA, Fla. (AP) — Doug Fister pitched 3 2-3 scoreless innings in only his second spring training start and Danny Espinosa hit two home runs, his second a game-ending shot that lifted the Washington Nationals to a 6-5 win over a Miami Marlins’ split-squad Saturday. "It’s knocking a little bit of the rust off, but everything felt really good," Fister said. "It’s really good to get out there and feel good. All the work we’ve been putting in — the trainers, the pitching coaches, everybody — it’s paying off. We’re on the right track." 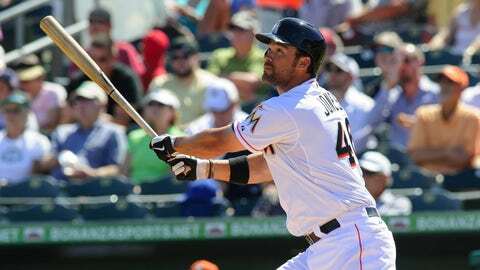 First baseman Garrett Jones is hoping to turn things around with the Marlins. "I would say he’s right on schedule," Williams said. "I talked to him immediately after the game. He said he felt good. No issues. Next time out, we’ll try to get him to 60 (pitches), maybe just a tick above." "We can tell him all day long that he’s right on, that he’s right where he needs to be, but it helps when they fall in . or over," Williams said. 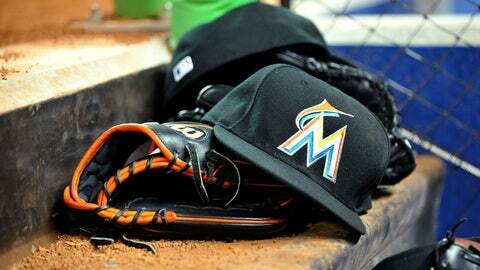 "He was throwing a lot of strikes," Marlins catcher Jeff Mathis said. "The last couple of innings, they put some good swings on some balls, but for the most part, I thought he threw the ball well. His changeup was good. His two-seamer was good." "We want to keep that guy at second base," Williams said. "But do you understand where he threw that ball to home plate from? It was almost the warning track. I go, `Wow . wrong move.’"